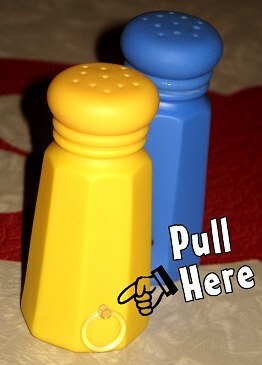 If operating the salt and pepper shakers wears you out, then this product is for you. Simply pull the string and turn them upside down. The automatic self shakers will do all the work for you.